Note: I did receive a free copy of this book from Zondervan for this review. I am thankful for this opportunity. How to Read the Bible through the Jesus Lens by Michael Williams is the latest in the "How to Read the Bible" series from Zondervan. A couple excerpts from the introduction lay out plainly what Williams is attempting to accomplish in this tight reference work. The simple truth is that all of the Scriptures--Old Testament and New Testament--testify about Jesus seems to be often overlooked. ... Reading the Bible through the Jesus lens is reading it the way it was intended. It keeps our reading, understanding, teaching, and preaching properly focused on God's grand redemptive program that centers on his own Son. Seeing how each biblical book makes its own unique contribution to that redemptive focus enables us to use these diverse materials with much more confidence and accuracy. What this little book (less than 280 pages!) seeks to do then is give a brief overview of each book of the Bible and proceed through a five-step process. An overview of the book including a short statement about the overarching theme. In this brief exploration of each biblical book, Williams will examine the highlights that are especially pertinent for making the ultimate connection to Jesus. Obviously, for some biblical books (e.g., Ephesians) this is a much easier task. For others (e.g., Nahum) this is a little more difficult. First I want to review his exploration of two books of the Bible (Nahum and Ephesians) and then give some final thoughts about the place of this book in our study, interpretation, and teaching/preaching of Scripture. Now the book of Nahum is a prophetic "book" or oracle by the prophet Nahum against Nineveh. The Lord is sovereign over all and will judge Nineveh. he will make an end of Nineveh. Williams then moves into the "Jesus Lens" portion of the book. Here is where I struggle to connect the book of Nahum with his interpretive move. The prophecy against Nineveh is reinterpreted as an eschatological rescuing that God will do for us (through Jesus) at the end of history. The contemporary application summarizes this book as a reminder that we have been set free from the destructive judgment of God and that we should therefore have an urgency about telling others how they too can be reconciled to God and escape judgment. The Hook Questions end with asking questions about God's judgment and determining who is in charge of our lives. Good questions to ask for sure. But can we get these out of Nahum? Summary: While the introduction to the book of Nahum is helpful, and the text for memorization is important both for our formation and our understanding of the book itself, the "Jesus lens" seems like a big stretch. It's like those times you heard a sermon that started out, "The Bible says, 'He sends rain on the righteous and the unrighteous.' And speaking of rain and water this brings me to my subject of baptism." The observations that Williams makes about God's judgment of those who are rebellious and his salvation for those who trust in him are not wrong, they just don't really come from Nahum without some significant hoops to jump through. God establishes the church as the firstfruits of his shalom. This is true. (One might question, as I do, if this however is the main theme of the book of Ephesians.) Williams uses this theme to tie together the recurring themes of unity (in contrast to the brokenness of sin) that flow throughout Ephesians. He came and preached peace to you who were far away and peace to those who were near. In the next step, the "Jesus Lens," Williams makes the point that Jesus is the one who brings this shalom back into our lives that was taken from us in our sin. He alone is the one who could heal the rift between ourselves and God, and that when this rift is healed we are then able to close the gap between ourselves and others as well. Do you know peace in your life? Why should there be any brokenness at all? Do others see peace in your life? How would they be able to see it? What have you done to promote the gospel of peace? Where do you look for peace? What is the difference between what unbelievers call "peace" and what you call "peace"? Could you explain the difference to an unbeliever. Have you? SUMMARY: There are some good things here. Is the theme of "peace" important in Ephesians. Absolutely. But again, it seems that this simply makes the most logical jumping off point for a people-centric reading of Ephesians. What does peace mean to you? How do you live out peace? If we read Ephesians carefully, I think we will see a much more God-centered framework for understanding how peace works in the community. In this section I struggle to see how the contemporary application and hook questions connect with the overarching narrative found in Ephesians. FINAL WORD ON "HOW TO READ THE BIBLE THROUGH THE JESUS LENS"
I would be curious to see the "Jesus lens" of the laws about sexual relations in Leviticus 18, or David's "collection" of one hundred Philistine foreskins (yikes!) in 1 Samuel 18, or the lists of greetings that conclude many of the Epistles "testify about Jesus". In other words, the burden of such all-inclusive langugage only causes us to jump through hoops that simply aren't there. There is a danger in "jumping" to the "Jesus lens" especially in the Old Testament. It is a serious danger that we jump too quickly to Jesus in our understanding of Scripture, especially in passages that are either (1) in the Old Testament or (2) that are difficult to grasp or explain. We can be tempted to "rescue" God's reputation. We look at the Canaanite genocide where God commands Israel to kill everyone (and I mean everyone) in those cities. We then hurry to the "Jesus lens" and say something like, "Because of Jesus no one has to die anymore." This doesn't mean that it is wrong, but we have not stopped to hear Scripture, to wrestle with what that text (hard to swallow as it may be) tells us about God or about God's people or about us. We have spared ourselves that difficult and sometimes unsettling work. If this is the extent of your study of any particular book in the Bible you are on shaky ground. I don't think by any means this is the intention of the book. He even tells in the introduction that a more detailed class taught at a seminary will be soon available that goes through much in the same way that the book does. But my point is this: This might be a good tool, but it is A tool. (1) You recognize it is a place to stimulate your thinking. 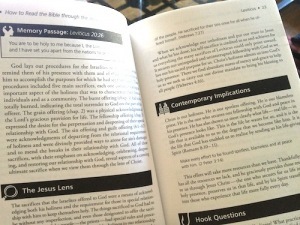 (2) You spend time in the actual text itself and its meaning and implications BEFORE you "use the Jesus lens." GOD GIVE US MERCY TO READ YOUR WORD WITH EARS TO HEAR, EYES TO SEE, AND A WILLING AND RECEPTIVE HEART. Have I really been gone from here since August? Wow. A lot has happened since my last post, and it is clear that it is time for a fresh start. So here we go. I hope you will join me as I "start fresh" here at Spiritual (Re)Formation. A new look, hopefully some new topics, and a much greater consistency in writing will mark this new season here. I have recently resurrected a series at the Central Church of Christ where I teach/preach where I am answering questions that are submitted to me from the members of my congregation. Is instrumental music a salvation issue? Why did Jesus cry out from the cross, "My God, my God why have you forsaken me?" When does seeking to be obedient become legalism? How should we use church history to shape our theology and practice? Who served as deacons in the first century church? What should be the relationship of the church and the state? How should we interact with (or pull away from) people with whom we disagree about theological matters? These and other questions will arise as time goes on. Also, feel free to submit any questions you might have by sending me an email. We will also be talking about issues of church and culture. What does it mean to be a Christian in the 21st century? How are we to react to and engage with the culure(s) in which we live? Maybe more specifically, how does a movement that has been preoccupied with the "first century church" maintain a faithful and culturally appropriate posture in the places in which we find ourselves? This obviously brings in larger issues about definitions of culture, what we mean by "church" and some of the ways that we read, interpret, and use Scripture to define both belief and practice. In time, we will lay some of this groundwork and see where it takes us from there. I also hope to begin some sporadic posts about our history, traditions, and some of the major shifts that have taken place in our heritage (both good and bad). The goal here is to better understand our roots and the places that we have "gone off into the weeds" as some like to say. My hunch is that many of us don't know the richness and depth of our heritage. While it can be easy to be negative and cynical about our tradition (this is from the voice of experience! ), I believe that there are powerful things from our own history that can and should be reclaimed in the present. Finally, I hope to raise some questions (and propose some options) in the realm of hermeneutics or biblical interpretation. The way in which we read Scripture dictates much of what we understand (or miss). Understanding the ways we have been influenced by forces and ideas that we have never formally been taught is important. Here we will be listening to voices both old and new, both local and around the world. Reading Scripture is both a wonderful privilege (that many in history have not had!) and a deep responsibility and challenge. We will look at some of the ways that the people in Scripture have interpreted and used Scripture, we will explore some passages that seem to reveal some tension both in perspective and understanding, and we will also talk about ways that are dangerous to our engagement with Scripture. Overall, I think that the future is bright here at Spiritual (Re)Formation. I believe that the Spirit of God is moving in powerful and sometimes shocking ways in the church today to make us more into the image of His Son in the world. The most important part of this journey here however will be your participation. So stop back often, comment when you can, and most of all pray that each of us will be continually (re)formed into the image of Jesus. 1 Corinthians 14 and the Silence of Women: Universal Command or Cultural Response? We have come a long way in this series as we have explored the sometimes contentious passage about women being silent found in 1 Corinthians 14:34-35. 1 Corinthians 14 and the Silence of Women: Who are these Women?? Is Paul here commanding something that is universal (for all people, time, and cultures without exception) or something that is specific and cultural (e.g. the situation in Corinth)? 29 Two or three prophets should speak, and the others should weigh carefully what is said. 30And if a revelation comes to someone who is sitting down, the first speaker should stop. 31For you can all prophesy in turn so that everyone may be instructed and encouraged. 32The spirits of prophets are subject to the control of prophets. 33 For God is not a God of disorder but of peace—as in all the congregations of the Lord’s people. 36 Or did the word of God originate with you? Or are you the only people it has reached? 37 If anyone thinks they are a prophet or otherwise gifted by the Spirit, let them acknowledge that what I am writing to you is the Lord’s command.38 But if anyone ignores this, they will themselves be ignored. The universal qualifier ("...as in all the congregations of the Lord's people.") belongs to the previous unit of thought contained in 14:29-33. This unit of thought (14:34-35) is original to the text and is found in the correct placement in the text. The "women" that Paul addresses can only be one demographic of the women in the church at Corinth. They must be married women with believing husbands. No other segment of the congregation is able to fulfill Paul's commands to "ask their husbands at home" and expect to be able to receive an answer that will help them learn. The particular problem that Paul is addressing is that these married women with believing spouses are asking questions in the public assembly. These women are not asserting leadership, they are attempting to learn. Such an action is culturally unacceptable, and therefore Paul works a solution for everyone. These women should stop asking questions in the assembly and ask their husbands in a setting (at home) that is not inflammatory to the life of the congregation. This arrangement is one that is for the benefit of everyone involved. These women still have their questions answered and the "heartburn" that it is causing in the congregation has been dealt with. So does this help us to understand whether or not Paul was offering a universal command (or as I like to call it, "for everyone, everywhere, forever without exception, amen.") or was he addressing and specific situation that he never intended to "bind" on all women and all congregations? It seems that the only answer, considering the things that we have looked at in this series, is that Paul is giving a command to a specific group of people (married women with believing husbands) about a specific situation (the conflict that it was causing in Corinth). Some people (and you will know if I am talking about you) are reading this and their blood pressure has just shot up to a level that is dangerous for their health. The questions are rolling, "So is he saying..."
(1) This passage does not command all women for all time to be silent in the public worship of the church. (2) This passage gives a great window into what it means to live and worship in a community of people where there are inherent tensions between the freedom found in the Gospel and the expectations of the surrounding culture. (3) This passage has nothing to do with the leading (or prohibition of leading) of women in the church. It has everything to do with how these women were learning, it does not address in any way, shape, or form any form of leadership or teaching. It seems to me that this passage is a fine example (if not the loudest one) of taking a small passage dealing with something that is important (but not all important) and making it way too important! I wonder if Paul were to read some of the things written about and preached about this passage and what his reaction would be. It seems to me that he would be surprised at the volume and the venom that has surrounded this short passage (only 35 words in Greek). We need to be careful when we "use" Scripture to shore up a position or practice in the life of our congregations. This text is a perfect example. And it should cause us to be more cautious, more honest, and more humble of the way that we stack up Scripture for any reason (no matter the motive). This is God's Word and it deserves our utmost care, humility, and effort. The first translation issue is in regard to the word "woman" in this passage. Both times it is the Greek word gune (γυνη) which can be translated as "woman" or "wife". The only key to which translation is intended is the immediate context. This is something that is rarely (if ever) discussed when we talk about the challenges of translation of interpretation when we aren't dealing directly with the original languages of Scripture. IS THIS HOW YOU UNDERSTOOD THIS PASSAGE IN YOUR CHRISTIAN EXPERIENCE? IF NOT, HOW DID YOU UNDERSTAND THIS PASSAGE BEFORE? (2) Scholars debate the originality and placement of this unit of thought. Some scholars (most notably Gordon Fee in his influential commentary) see this entire unit as an interpolation (inserted by another author, editor, copyist) and therefore the text should be discarded as a whole. Others think that this passage should be placed at the end of the chapter after 14:40. Still other scholars think that the text should be understood as it is and in the place in which it is translated in our English Bibles. For Paul, who writes with some of the greatest rhetorical flourish in 1st century literature, and especially within the New Testament, such a sloppy expression seems unlikely. Therefore, I believe that we are better off to understand the "universal statement" of "as in all the churches of the saints..." as belonging to the preceding unit of thought about God being one who is concerned with and by his very nature is a God of peace and not disorder. This passage should be understood as a digression (Paul saying, "And while I'm talking about this...") in the larger context of Paul dictating to the Corinthians the proper actions regarding speech in the corporate gathering of the assembly (what we might call Sunday morning). This context is most pressing in chapter 14 but extends also as far back as chapter 11. When someone has already figured out the "right answer" to an issue or subject to the exclusion of a careful reading of the biblical text. When people don't realize (or don't care) that their assumptions on other texts almost "demand" a particular interpretation of other texts and issues. When people assume that they have already "studied that" (which can range from in-depth study, to what they learned from someone else, to "what makes sense" to them) and therefore it doesn't need to be discussed again. "Why can't we just believe what the Bible says?" "I thought we solved that (insert time period here)..."
I am not suggesting that everyone break out their critical Greek and Hebrew texts with the full apparatus and we start discussing textual variants and the history of interpretation starting with Augustine and John Chrysostom. (Although admittedly, for some of us, this would be enjoyable.) 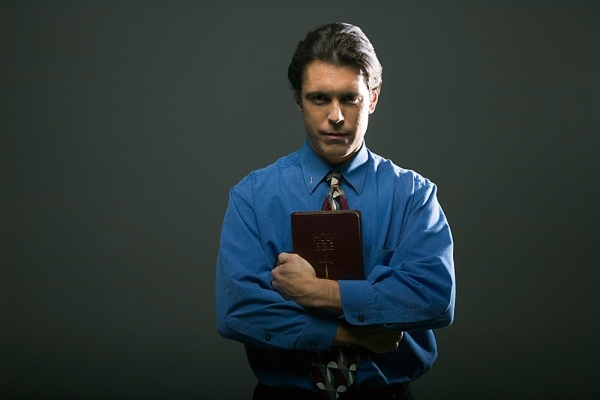 But what I am suggesting is that we have to read the biblical text that is in our laps with care and seriousness. A number of textual, hermeneutical, and theological issues can be resolved by applying this one principal. Read closely, be honest. I am thankful to be from a religious tradition that takes Scripture seriously. I am thankful that in our past we have a strong legacy of ministry and scholarship in conversation with one another. I am thankful that we are returning to this part of our legacy that for a time we left behind. We owe it to our children to be honest in the way that we read and approach Scripture. We owe it to each other to be open and honest with Scripture. More importantly, it is God and his mission that deserve our careful and honest reading of Scripture. Otherwise we find ourselves in danger of distorting the image of God both in our own lives and in our participation in his mission. Tim Spivey had an interesting post the other day called What Good is the Old Testament? His primary question was simple: How do you view the Old Testament? The question that I want to tackle (very briefly and somewhat tenatively) is a hunch that I have on how we might honor the Old Testament as Scripture and yet avoid some of the problems that have been created and experienced by other types of interpretation. Ultimately, this is a very sensitive theologial and hermeneutical issue for many of us in Churches of Christ. My working hunch is this: What if instead of doing a hermeneutical dance with the Old Testament (keep the moral law, discard the ceremonial law), or just functionally throwing it away altogether (yeah, that's the OLD Testament), what if we were to read the Old Testament as Narrative. Allow me to explain. I'm not saying that we only pay attention to the stories. (You know, ignore Leviticus altogether and focus on bears mauling kids and hills of foreskins.) I'm saying that we look at the Old Testament to discern what God is doing and what we can learn about God and His mission in the world. So for example, instead of simply reading the story of Hannah as a nice story about God giving a barren woman a baby who just happened to be Samuel we would read it as a narrative about the character and mission of God. In doing so, we would come to recognize that this story is not so much about a desperate, barren woman (although it certainly is about that), but more than that it is about a God who is sovereign over what seems irreversible. It tells us about a God who is at work in the world to turn the structures of the powers and principalities on their heads. It is about a God who raises up his "anointed" to put things back to the way they were always intended to be. So instead of this being a nice lesson about praying with emotion and sincerity without a mediator (although that is certainly here) we instead learn something about the nature and mission of God which transcends which part of the book it is from. The same might be for the ceremonial law. What can we learn from rules and regulations about menstrual cycles, mold in the house, and dietary restrictions? We learn about a God who is serious about the implications of living together as God's representatives in the world. We learn that there is no area in life from which God and the reality of being his people is removed. We learn that the way we set ourselves apart from the culture in which we live, for their sake, is important to God and therefore important to us. 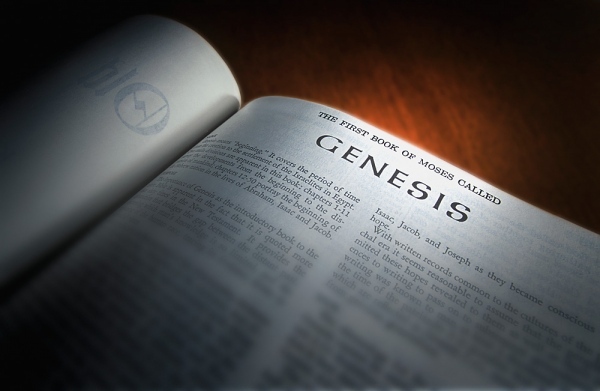 What do we do with the Old Testament? Maybe instead of looking for things that do or do not apply we need to understand that it is the story of God and of his people. Therefore, it is OUR story as well.